Researchers at the University of Alabama recently looked at the relationship between pain sensitivity and caffeine intake. They had 62 adults measure their daily dietary caffeine consumption for a week and then completed pain sensitivity testing. 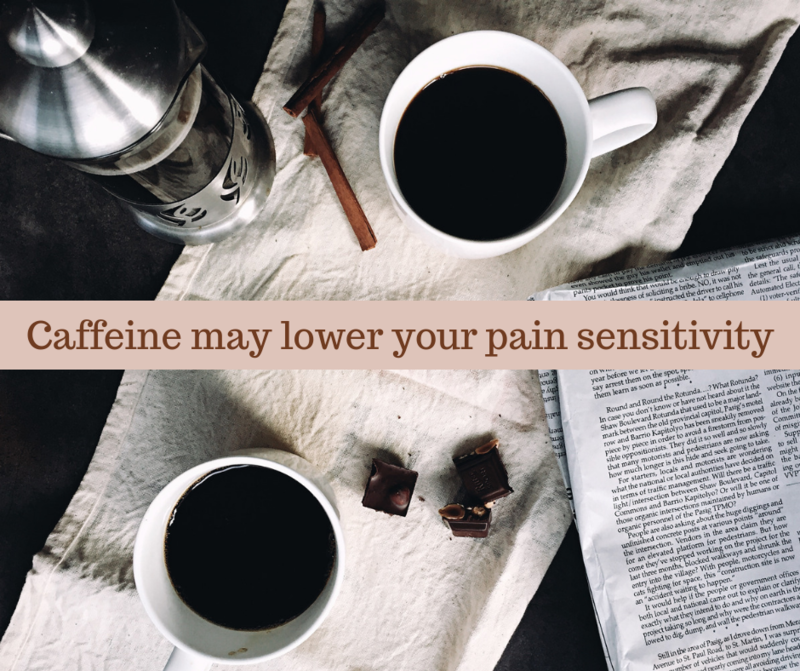 Daily caffeine consumption was associated with higher heat and pressure pain thresholds, meaning lower sensitivity to pain in these healthy individuals. Caffeine’s effect on chronic pain, however, are mixed. Recent reviews of caffeine intake have found no negative consequences to consuming less than 400mg/day, but it’s important to keep in mind that caffeine is often found in drinks/food with high amounts of sugar and fat, which can have negative consequences on your health!